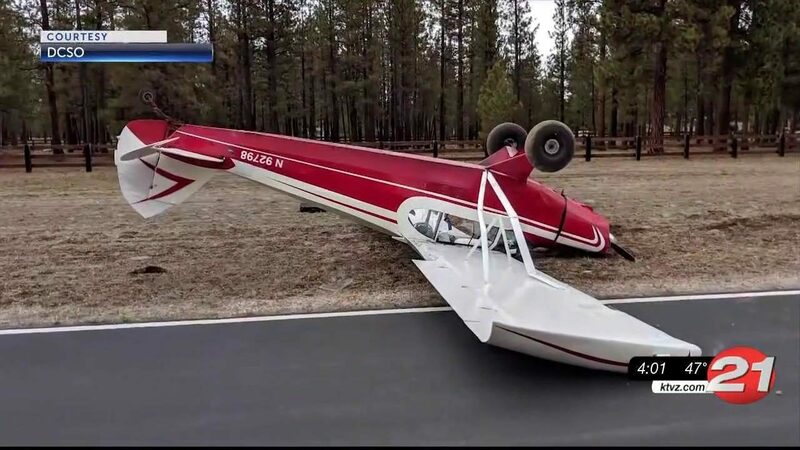 SISTERS, Oregon - Two men sustained minor injuries Wednesday morning when their 73-year-old single-engine plane flipped onto its roof while landing in winds gusting more than 40 mph at Sisters Eagle Airport, Deschutes County sheriff’s deputies said. 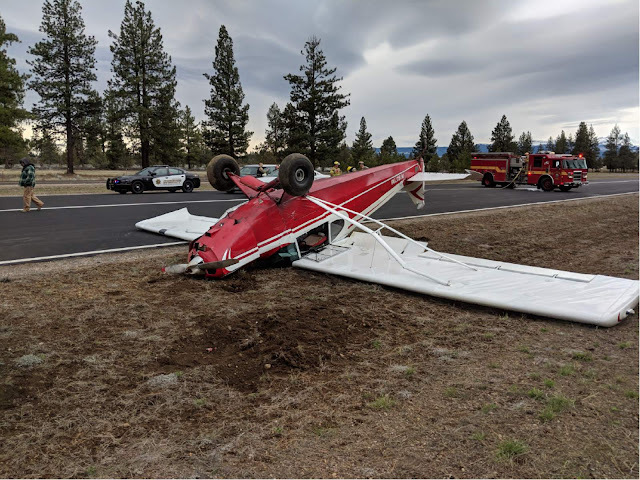 A Black Butte Police Department sergeant was driving by the Sisters Eagle Airport around 10:45 a.m. when he saw a plane flip over while trying to land and called for assistance, sheriff’s Sgt. Kevin Dizney said. Deputies arrived to find the red and white Piper PA-12 single-engine plane on its top, partly on the paved runway, Dizney said. Pilot Brian Lansburgh, 73, of Sisters, and his passenger, John Watson, 88, of Bend, were able to climb out of the overturned plane with minor, non-life-threatening injuries that didn’t require transport from the scene, the sergeant said. Deputies determined Lansburgh was trying to land in gusty winds, using the dirt beside the runway to help in the landing, Dizney said. “Wind appears to be the only factor causing this crash at this time,” Dizney said in a news release. He later told NewsChannel 21 that both men are pilots and they had taken off earlier from the Sisters airport. The National Weather Service observation site in Sisters was recording west-southwest winds of 30 mph, gusting to 41 mph around the time the plane landed. Federal Aviation Administration records indicate the plane was built in 1946 and is owned by Tailwheel Productions LLC of Sisters. The runway was closed for about 90 minutes during the crash investigation and for airport staff to take the plane to a storage location. The plane “sustained moderate damage but remained in one piece,” Dizney said in a news release. Dizney said the Federal Aviation Administration and National Transportation Safety Board were contacted by phone for assistance and will be completing their investigation in the coming days. Lansburgh is a flight instructor who specializes in “tailwheel” instruction, the type of plane that has a “tailwheel” at the rear to support the tail of the plane. He started the Tailwheeler’s Journal and was nominated for an Academy Award in 1976 for the short film “Dawn Flight,” according to the Tailwheeler’s Journal website. Lansburgh previously was the manager and pilot of Sunriver Soaring and managed the Sunriver Airport for a time. 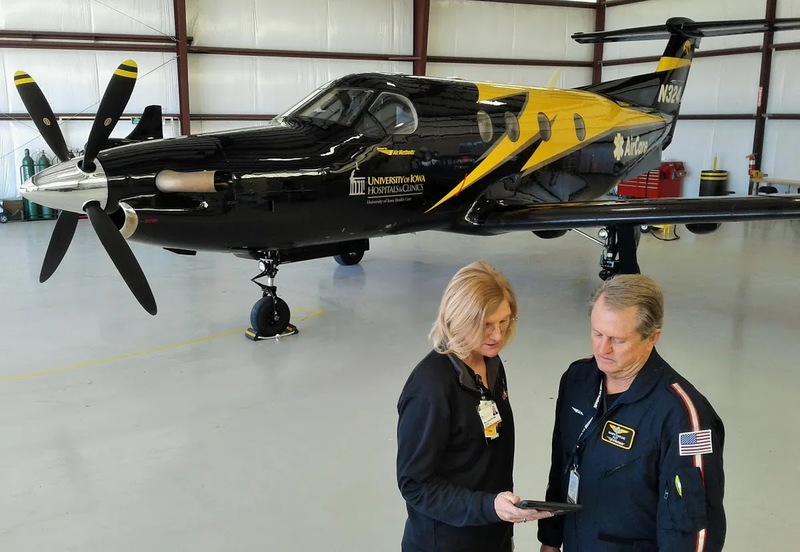 Previously, he was a pilot for L3 Wescam, flying aerial photography planes across the U.S. and Canada, and also was a comedy stunt pilot for air shows. A single-engine airplane flipped over after having to land on a dirt strip parallel to the runway at Sisters Eagle Airport on Wednesday morning, according to the Deschutes County Sheriff’s Office. The pilot, identified as Brian Lansburgh, 73, of Sisters, was attempting to land at 10:43 a.m., but hit a cross wind and ended up landing off the runway, which caused the plane to flip on its top, said Sgt. William Bailey, sheriff’s spokesman. Also on board was passenger John Watson, 88, of Bend. Lansburgh and Watson were able to get out of the plane on their own and suffered minor injuries. The single-engine Piper PA12, which was built in 1946, is registered to Tailwheel Productions LLC in Sisters, according to a Federal Aviation Administration database. Lansburgh is the founder of The Tailwheeler’s Journal and a flight instructor who produces flying videos, according to the company website. It states he was former manager of Sunriver Soaring and ran the Sunriver Airport for a while. The FAA and National Transportation Safety Board have been notified and are investigating the crash. Wind appears to be the only factor in the crash, according to sheriff’s Sgt. K. Dizney. Also Wednesday, a flight from San Francisco arriving at Redmond Airport blew four tires on its main landing gear, said Zach Bass, airport manager. United Airlines Flight 5879, a CRJ-200 flown by SkyWest Airlines, blew the tires as it landed on Runway 29. None of the 28 people on board was injured, the FAA said. Great job getting the plane on the ground in such treacherous conditions. Maybe we can see some video of even5 to learn from.